Chennai is home to ravishingly tasty south Indian food, ethereal traditional art and craft goodies, distinctive performance arts, serene beaches, monumental temples and anything that makes the city a class apart. The city doesn’t just limit to that. They do have interesting things in store for you. Those who aren’t aware, this city offers an exciting shopping experience. 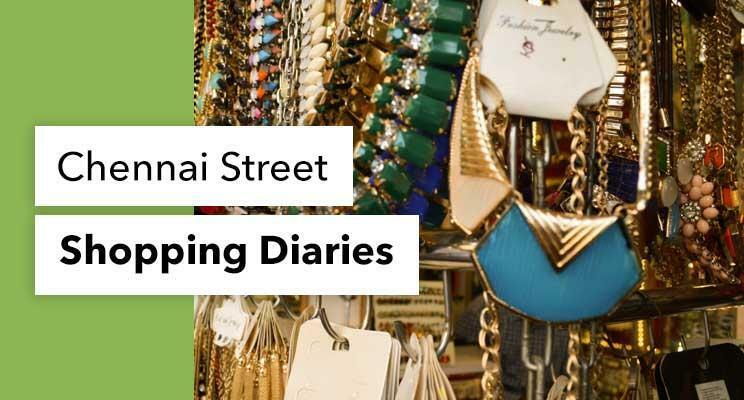 When the word street shopping pops up, one can’t possibly afford to miss Chennai out of the list. 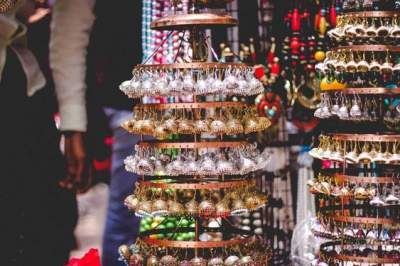 If you happen to be a shopaholic by heart but a haggler by the mind, then the street shopping in Chennai might just be a perfect opportunity to sharpen your skills. For all the times you promised yourself you wouldn’t miss out on a sale. For the times when you literally hunted down the best shopping places and made sure you paid them a visit. For all those times when you struck out the popular shopping places off your list. Well, here’s a chance to strike another one out. 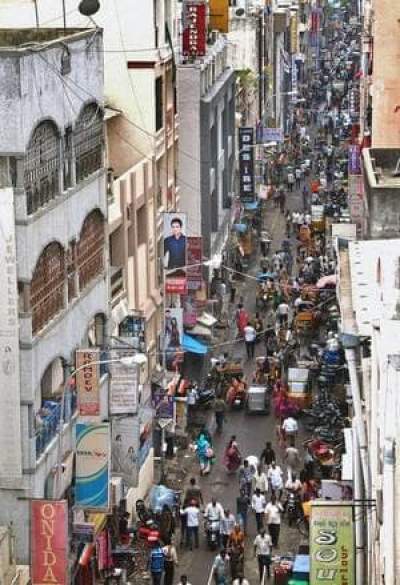 It’s time to visit the famous shopping streets in Chennai. Theru theruva shopping panuvom le ( street by street, we will shop all of it). Buckle up, for you might have to haggle your way to get your product. But remember to put those bargaining skills to good use, for you don’t want to end up buying a cheap quality product. So, what are the top shopping destinations on the list? Let’s quickly look at them before we dive into the specifics. 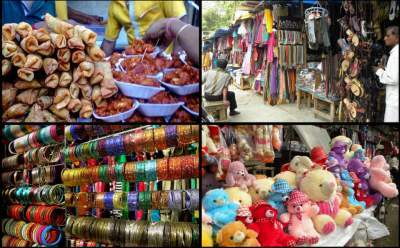 Now that you know what’s in store, let’s see what each of these street shopping markets in Chennai have to offer. Vanga shopping pollam ( Come, let’s go shopping). One thing that a Chennai local resonates well with is their love for street shopping. When there’s Thyagaraya Nagar and Pondy Bazaar in Chennai, you needn’t worry about your last minute purchases. This is the right place for street side shopping in Chennai. When you ask a Chennaite for street shopping suggestions, T. Nagar and Pondy Bazaar are the first two names you get to hear. Fashion accessories, footwear, handbags, dress materials, plastic goodies, clothes, utensils, home decor, furnishings, stationaries, and just about anything. A famous shopping zone for sarees, this place also houses big and small shops that literally sell all kinds of things. Famous shops here: Nalli silks, Pothy’s, Saravana stores, GRT, Palam silks, Chennai silks, Naidu Hall, Ratna stores, Narayana pearls, in-store, JhillMill, and more. 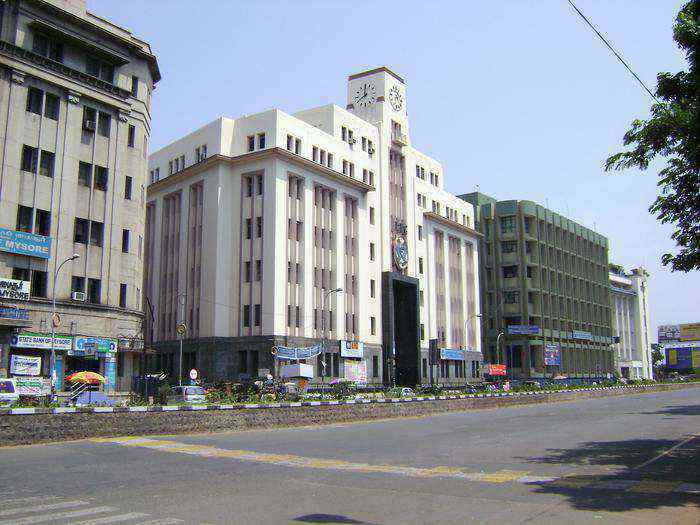 Ranganathan street is one of the popular shopping destination hubs. Bustling with people, this place is filled with stores on both sides of the road. For all the cheap shopping you want to do in Chennai, this is the right place. Mobile phone cases, accessories, movie DVDs, electronics, festival dolls (golu) and much more. Famous shops here: Jeyachandran stores, Murugan & Co., bismi bags and more. Sowcarpet or quite often referred to as George Town is one of the best places in Chennai to shop for street style goodies. This place has many streets that sell cheap stuff and Mint street tops the list. This Mini Rajasthan of Chennai is home to plenty of small street Sowcarpet shops. Stitched and semi-stitched dress materials, footwear, earrings, accessories, oxidized jewelry, and more. Famous shops here: Ganesh collections. 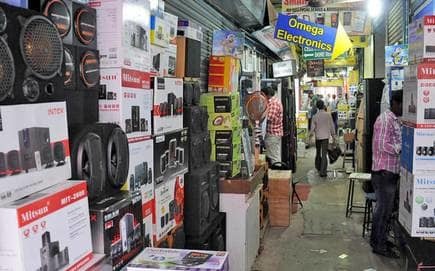 Ritchie street is the electronics hub in Chennai. The Ritchie street shops house a huge range of electronic goodies, be it for your college project, second-hand goods, new products in town, and just about anything electronic. Pretty much most of the used electronics in Chennai end up here. Some are sold, others are dismantled and the scrap parts are sold or re-used. So, if you are looking to get any of it, this is the place to visit. Don’t forget to take a local along. When you thought Pondy Bazaar had it all, well think again. Let us acquaint you with the famous Parrys corner Chennai. Originally a Godown Street, this place was once a textile hub. The 200-year-old wholesale market sells imported textiles and goodies. Handicrafts, utensils, decorative pieces, plastic containers, stationery, anything and everything that you might need. What’s the best part? You can bargain as much, but it sure is difficult for the sellers know their game. All that you can buy in T. Nagar and Pondy Bazaar. A modest street with reams of affordable cotton, printed fabric, silk materials, and semi-raw silk. Add this godown street to your street shopping list if you are looking to invest comfortably for your wardrobe. Pantheon road turns into a shopping zone with street style stalls located on both sides of the lane. 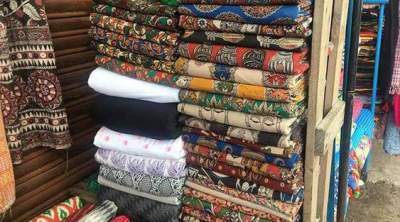 Material for dresses, cushion covers, curtains, export rejects and more. Besant Nagar is definitely one of the top 10 places to visit in Chennai. College goers prefer to hang out here for Besant Nagar has a lot to offer. Be it the beach, restaurants, cool hangout points, this place sure does know how to attract its crowd. 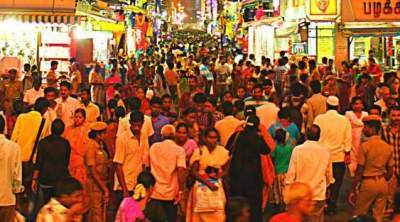 Being one of the most happening places, Besant Nagar also fits in the famous street shopping books. 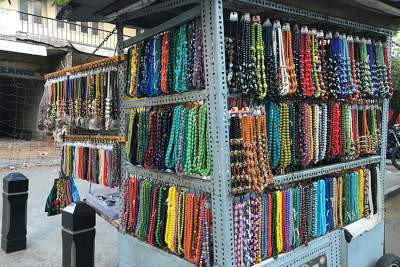 Small stalls sell gypsy beads- earrings, necklaces, and bracelets. Others sell footwear, clothes and hand-made products. And the final spot goes to Moore Market. 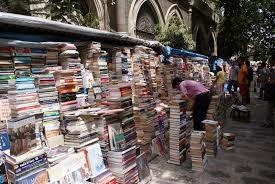 If you are looking for second-hand books in Chennai, then this place is your best bet. Not just second-hand books, you can also find some rare book collections here. Books which are valuable, out of print or the first editions. College books, used books, the second copy of books and more. So, that was our list of places for street shopping in Chennai. We suggest you go on your shopping escapades on a weekday for the places are usually filled with people on weekends. Bargain and shop more! Leave no street unturned. Namma Chennai, namma makkal, namma kadai. ( Our Chennai, our people, our shops).